The Litigation & Information Management Practice Group focuses on three inter-related areas: (1) coordination and management of discovery and litigation strategies and projects in both serial and individual complex litigation matters; (2) developing and implementing information governance policies in the digital age; and (3) claims management and administration. We have practical, hands-on knowledge that allows for appropriate, cost-effective project planning and staffing. Our attorneys have extensive experience working with outside litigation counsel, vendors, and individuals throughout a client’s organization to get the best possible result for the client. 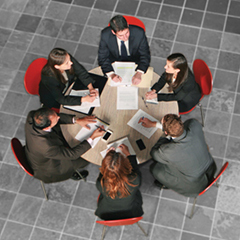 We have used our specialized knowledge to represent our clients at hearings, mediations, depositions, and negotiations.